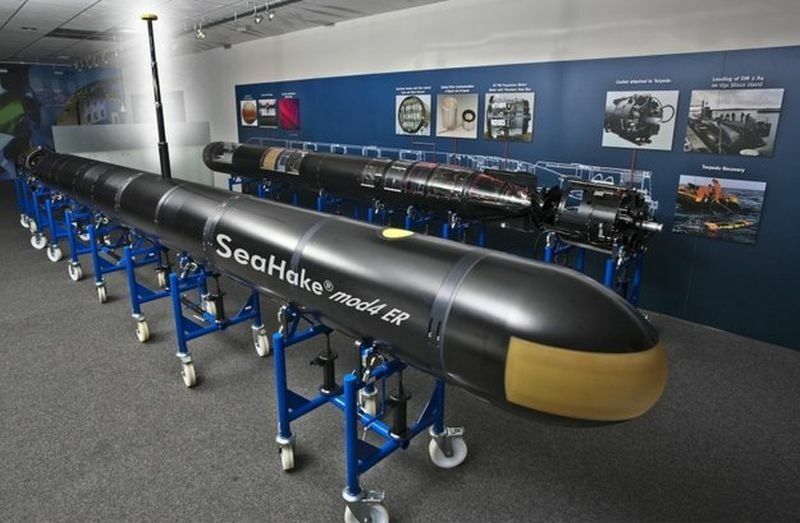 In the middle of May the German company «Atlas Elektronik», a member of the ownership «EADS» and «ThyssenKrupp» issued a statement, which said that during ground tests, first past the spring of 2012, the export option torpedo «DM2A4 Seehecht» — «SeaHake mod 4 ER» broke all records in distance running and has made more than 140 km. Tests were at sea testing site in the Bay of Eckernförde. They were held with the assistance of a testing center for the military department in Germany. A basic version of the torpedo DM2A4 designed to equip the German submarines, namely the «U-214A». At present, the export option «SeaHake mod 4" to arm acquired Israeli submarines type «Dolphin» at the expense of the South American finance. Record range «SeaHake mod 4 ER» was achieved thanks to the abundant use of Innovative Technology for the development of power plants and the use of batteries. Because change underwater and surface torpedo launchers is problematic, and "ramp up" coastal launchers all the same a lot easier, then perhaps this torpedo 533 mm will be set up to run from the shore torpedo launchers. SeaHake mod 4 ER on the photo posted is of great length than the standard torpedo series «DM2A4». Perhaps for the merits of similarities of the torpedo it added a few batteries. This makes it possible to imagine that this modification of the torpedo was created specifically for a particular customer who was going to increase, so Makarov, a coastal defense. While this official did not advertise the customer. According to his fighting abilities torpedo "Included" in the category of Harpoon anti-ship missiles, hitting range for superior RCC «Exocet». As option likely to supply this torpedo Turkey or Pakistan. It may also be used in submarines armed with Iranian, Korean and North Korean navy. Torpedo made in a modular design and consists of four modules. It is widely used wholesale-optic cable and digital hardware architecture. The speed of the torpedo — 92.6 km / h All system — closed cycle independent from environmental influences, for example, the same cooling system. Torpedo warhead carries within it 260 kilograms of explosives equivalent to 460 kilograms of TNT. To undermine the applied contact fuzes. Clearer properties «SeaHake mod 4 ER» Today classified.